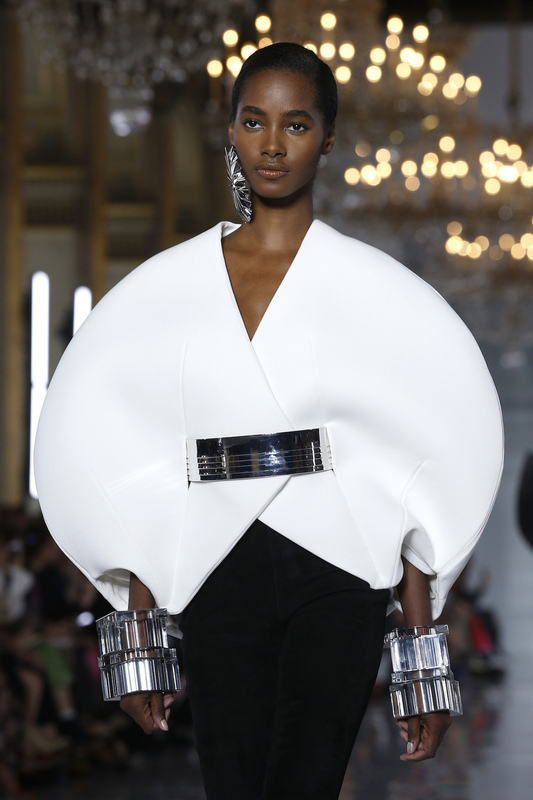 Guests at Balmain’s ambitious spring show, including model Alessandra Ambrosio and socialite Olivia Palermo, looked on with delight as the presentation mixed the fashion capital’s traditional couture DNA up in deconstruction. 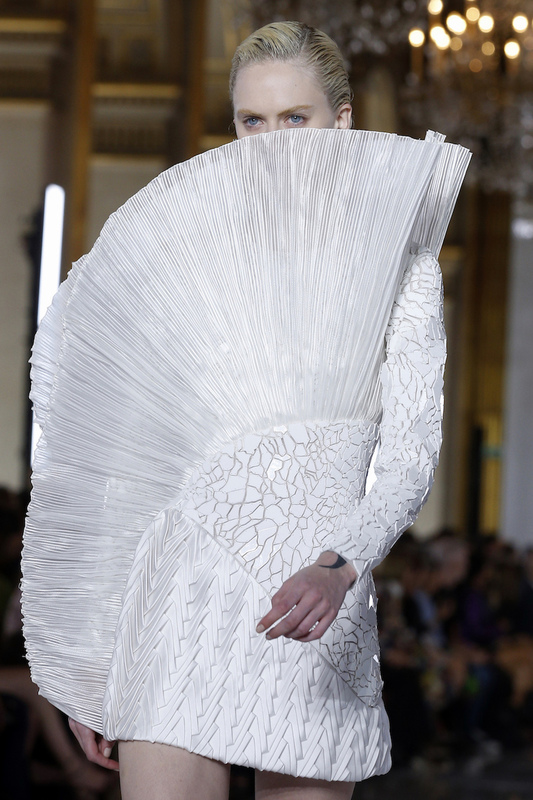 With white the dominant color, the Balmain atelier’s needle-workers had gone to work skillfully on creating structure. Rousteing explored his “fascination with the impressive obelisks, pyramids and columns that date from Napoleon’s campaigns and adorn” Paris. “I enjoy pushing envelopes, thinking outside the box,” he said in a note placed on guest’s seats — in an envelope. It’s quite a feat when a fashion show soundtrack stands out as much as the clothes. 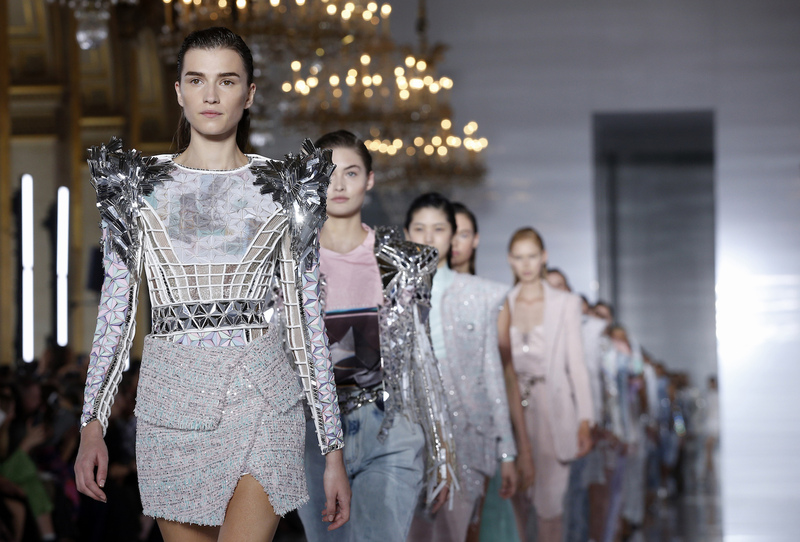 At Balmain’s Friday morning show, catchy pop hits had front-row editors tapping their feet, nodding their heads and joyfully mouthing or singing the lyrics. 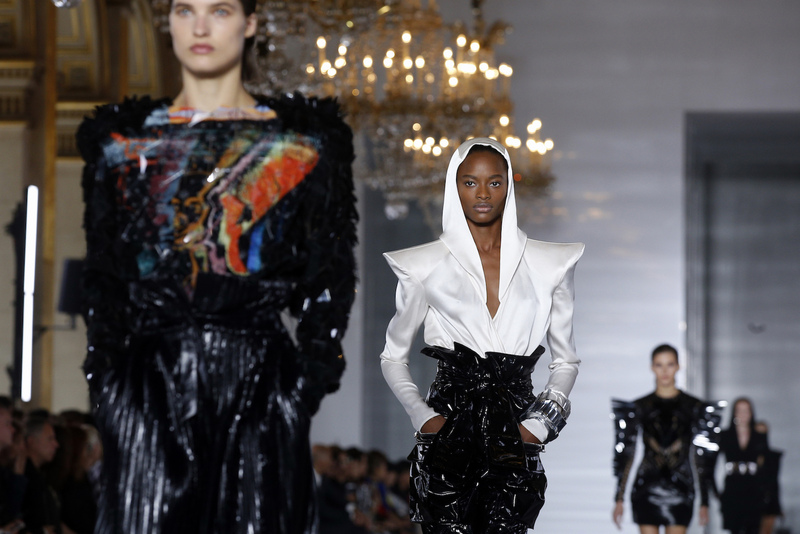 Delevingne opened the show in a white peaked-shoulder coat and metallic black bustier, lip-synching Prince’s “When Doves Cry” all the way down the runway. 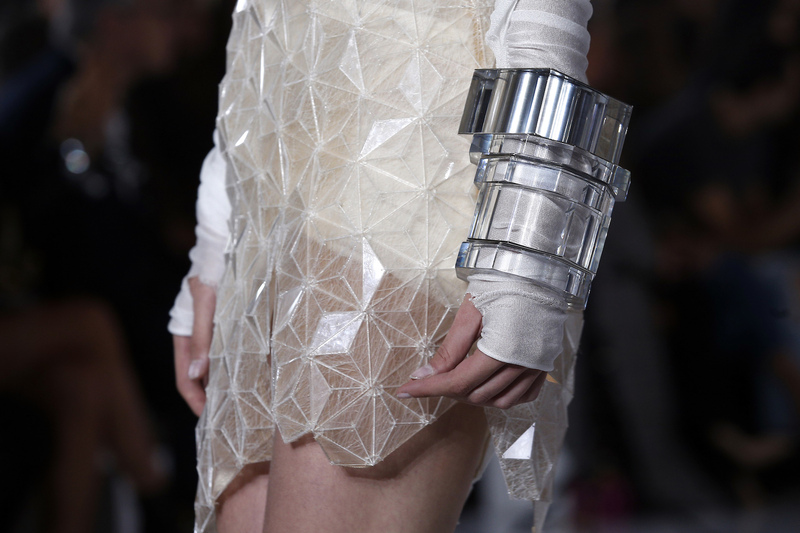 It had guests humming all the way down the gilded staircase of the venue — Paris’ opulent City Hall.